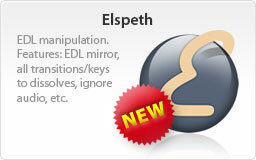 The main focus of Elspeth is to mirror EDLs. 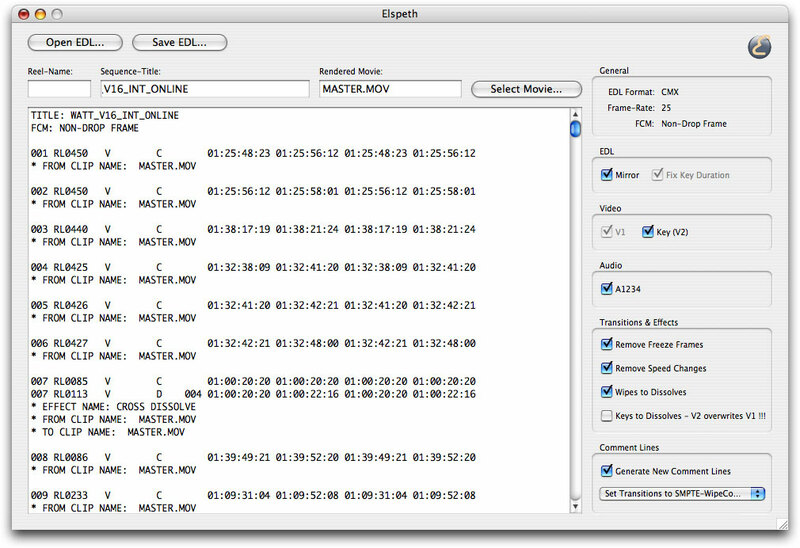 All cut marks of the original EDL are transferred to the rendered film file or the recorded videotape, in order to go with this material and the mirrored EDL thru the Color Grading, for instance. The original idea to Elspeth is from Dany Schelby. Additional he designed the logo and conceived the application name.